Spring comes early to the Sandhills and is the #6 reason we love the Sandhills! This year we have had an early short appearance of warm weather and this has the trees blooming early! 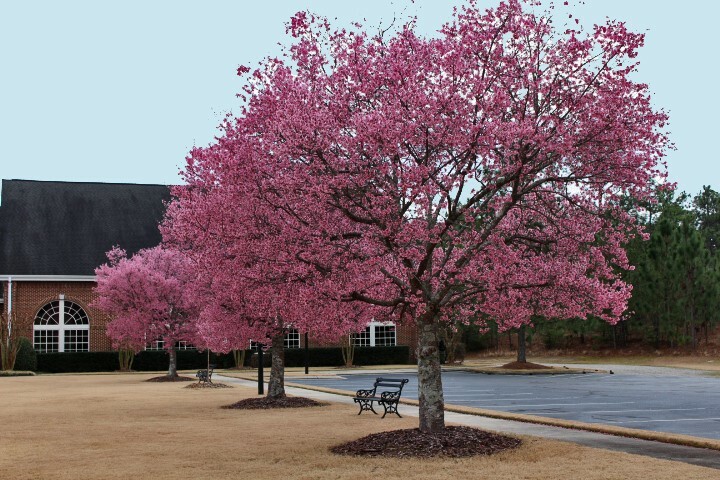 Take a look at these beautiful flowering trees in front of the Pinehurst United Methodist Church. Spectacular!